During the Apollo program of the 1960s and '70s, NASA sent nine missions to the Moon. Six of them landed astronauts safely on the surface, the only times humans have visited another world. July 20, 2019 marks the 50th anniversary of the first humans landing on the Moon on July 20, 1969 as part of NASA's Apollo 11 lunar mission. What Was the Apollo Program? An entire list of graphics files including a ready-made powerpoints and templates, 60th and 50th seals, along with a video feature. NASA's Eyes on the Solar System: Explore our solar system including our Moon! Using real trajectory data you can recreate famous moments in solar system exploration, or preview exciting adventures yet to come. 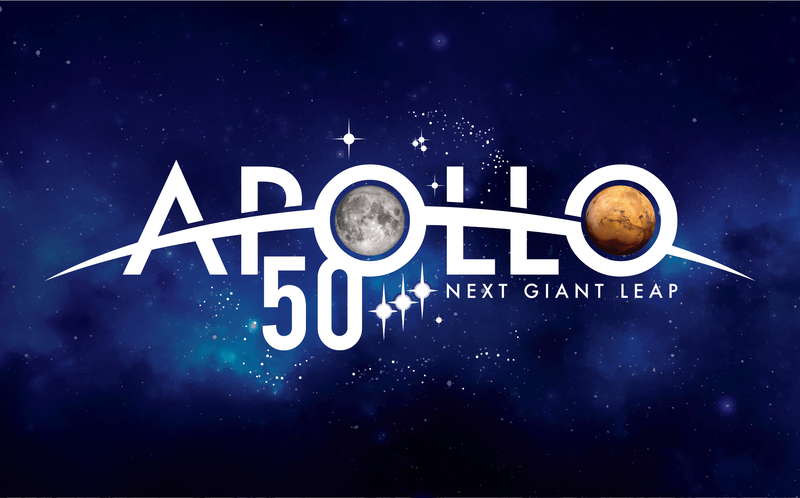 PBS NOVA "Apollo's Daring Mission"
Open to students in grades 5-12 across the United States and territories, the event challenges student teams to recreate the Apollo 11 moon landing using a drone and a LEGO Mindstorm robot. Go to https://trek.nasa.gov and scroll down to "Virtual Reality Library"